Last weekend my dad celebrated his Mega-Birthday (55, born on 5-5-55) in the tiny town of Luray, Virginia, which is part of the beautiful Shenandoah Valley. Our campsite overlooked the mountains and a small farm. 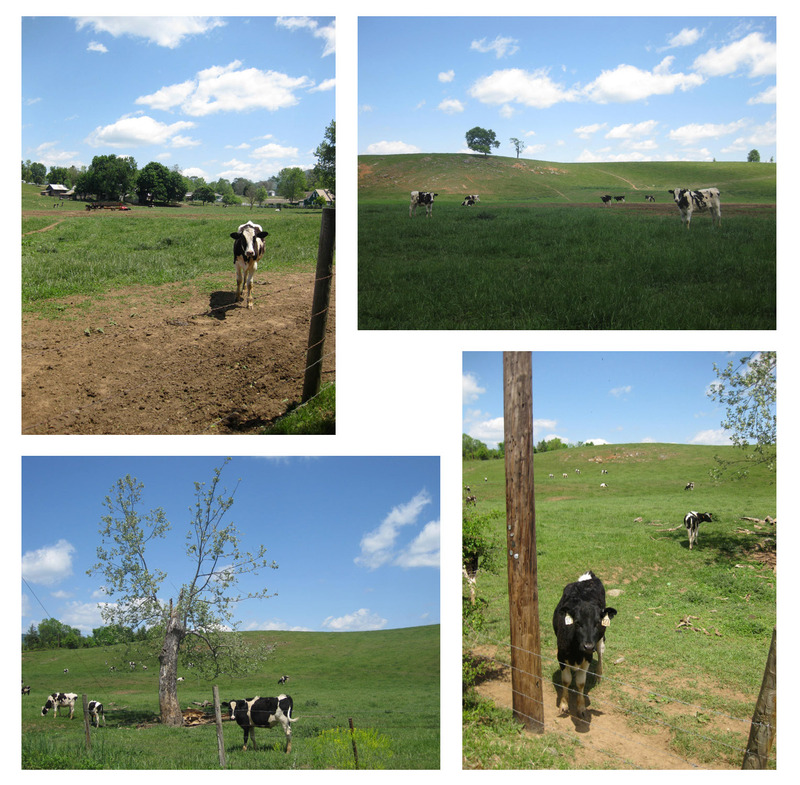 I couldn’t resist taking some pictures of the cute cows out to pasture. We were only 1 1/2 hrs from Polyface in Swoope (Joel Salatin’s farm) but it was already a long drive so we didn’t get to venture down there. 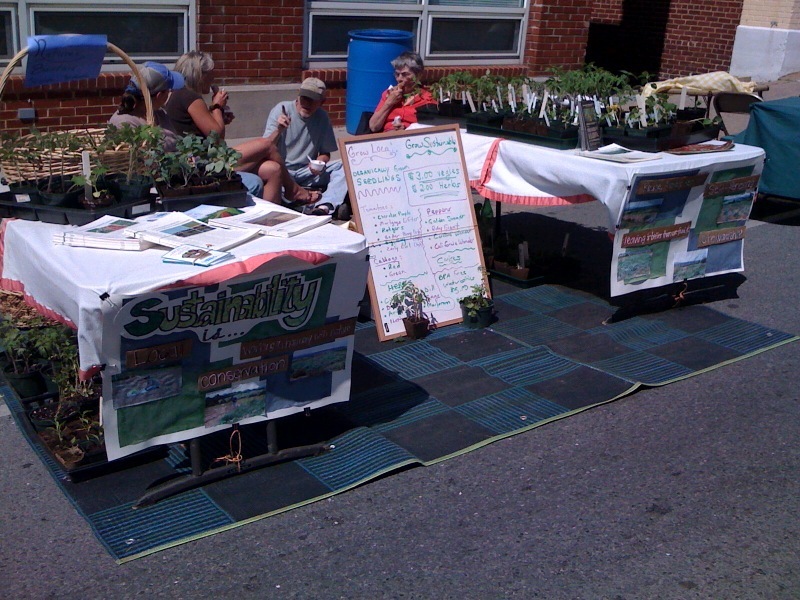 Saturday Luray was celebrating the sunny weather with a Festival of Spring. 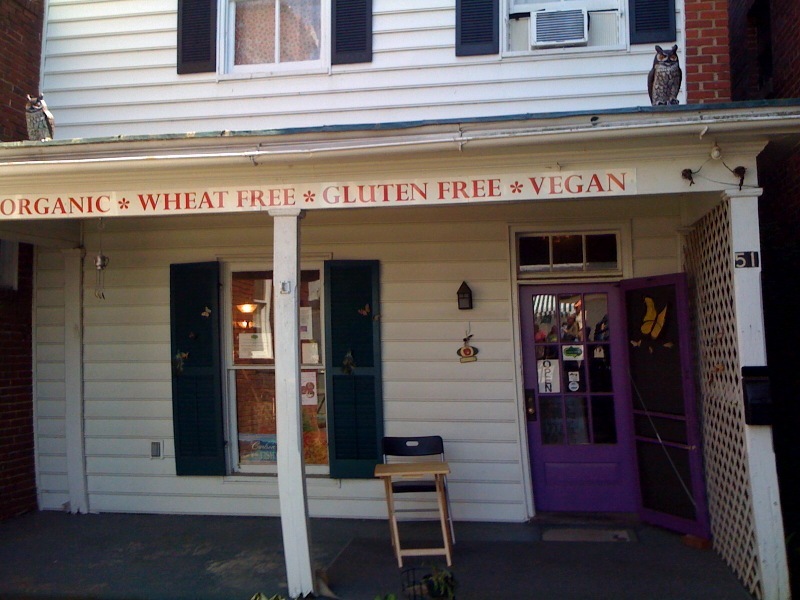 I got to check out the town and local food scene. 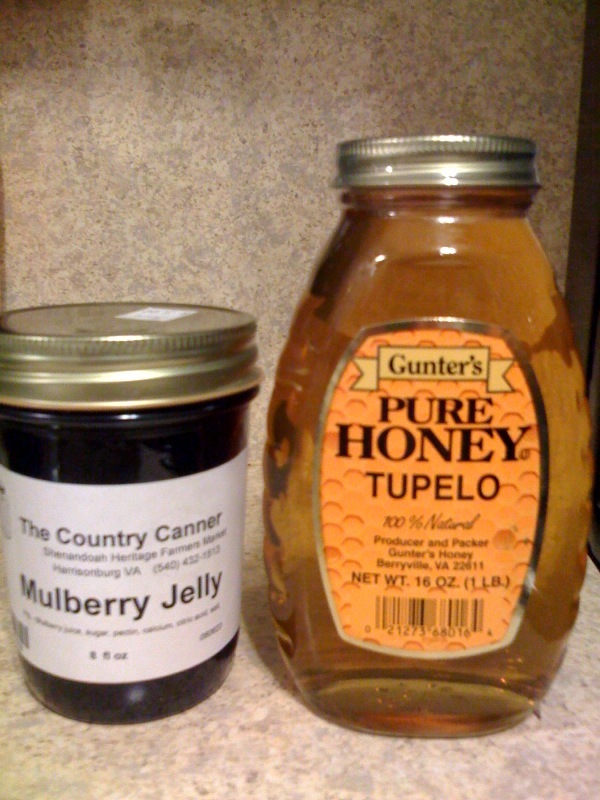 I found an organic store called Apple Cottage where I purchased some Virginia Honey and Mulberry Jelly. 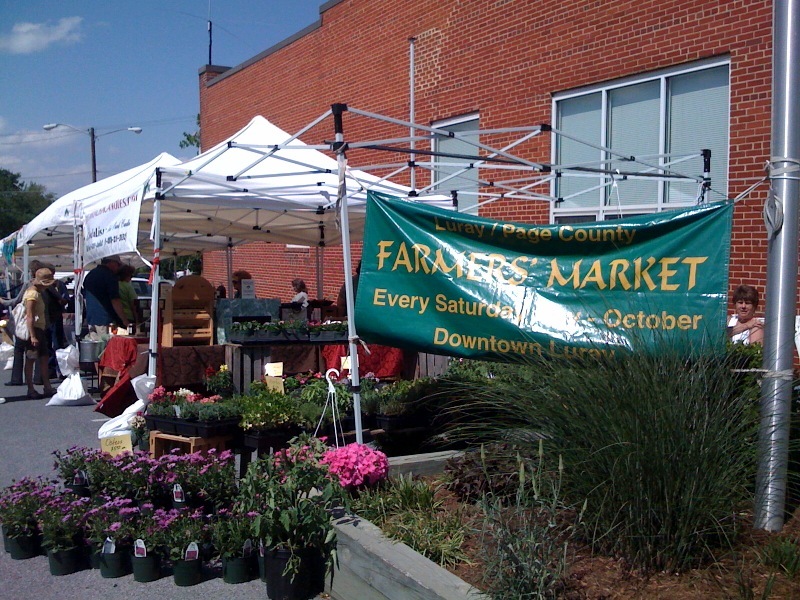 There was also a farmers market section of the street fest selling fresh produce and spreading the word about sustainable agriculture. All in all a great weekend and dad had a very happy birthday. The picture at the end is me trying to forage for ramps. On the way home I made poor Brendon stop all over so I could run into the woods near rivers and streams trying to find some wild spring leeks. I unfortunately did not have any luck, but will try again this weekend here in CT. Entry filed under: Travels. Tags: Apple Cottage. What?! the last post was back in May? !